Mexico, America’s neighbor to the south, is also one of its most important trading and economic partners. Mexico is considered a newly industrialized country and emerging economy. The country has a population of over 114 million people, making it the most populous Spanish-speaking nation in the world and the eleventh largest overall by population. Mexico’s economy has developed rapidly in recent years, and, currently, ranks among the leading economies in the world. The Mexico-U.S. border is one of the longest and busiest borders on earth. Close to one million legal travelers and an estimated $1 billion worth of goods cross the border each day. While U.S. border states have benefited enormously from this trade, several other states, including Illinois, Michigan, Kansas and North Dakota, also have flourishing trade ties with Mexico. Politically, Mexico is a federal constitutional republic comprising of 31 states and the Federal District of Mexico City, the nation’s capital. The country has a democratically elected president and a bicameral legislature consisting of a Senate and a Chamber of Deputies. The country has a rich cultural heritage that goes back hundreds of years. Spain’s 300-year colonization of Mexico has left an indelible mark on the country’s cultural traditions, art and literature. In more recent times, Mexico’s culture has also been heavily tinged by U.S. influences. Perhaps nothing reflects the country’s rich ethnic and cultural diversity more so than its music. Mexican music genres, such as the Mariachi, Ranchera and the Banda, are enjoyed not just within the country, but outside it as well. Mexico international shipping companies offer international shipping to Mexico from the United States and other parts of the world. Despite the shared border and the proximity between the two countries, shipping a car to Mexico from the U.S. and shipping a car from Mexico to the United States is not particularly easy. Both countries have fairly complex import eligibility, safety and emissions requirements. Most cars shipped between the two countries are transported by truck across the border. 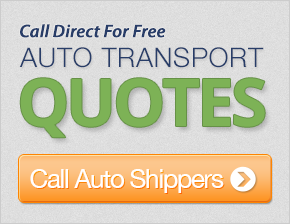 Many auto shipping companies offer door-to-door and terminal-to-terminal shipping services between the two countries. The cost of shipping to Mexico or from the country to the United States depends entirely on the location from which the car is picked up, and the destination where it needs to be dropped off. For example, to ship a car from McAllen in the south of Texas to a place like Guadalajara, Mexico could cost around $600. Shipping the car from Vermont to the same destination in Mexico could cost nearly twice as much. As a rule of thumb, American auto shipping companies tend to charge between 32 cents and 38 per mile to transport a car domestically. The rates go slightly higher for international shipping to Mexico.